A simple experience for you and your customers. 97% of consumers regularly read reviews before choosing to work with a business. 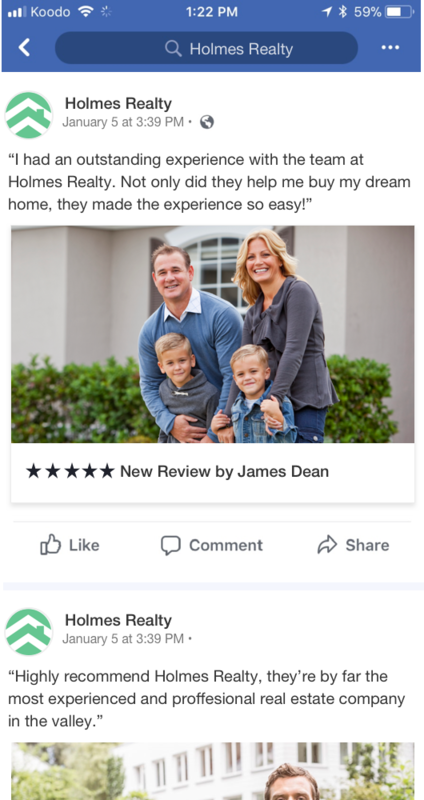 Getting reviews is tough, we've made it easy. 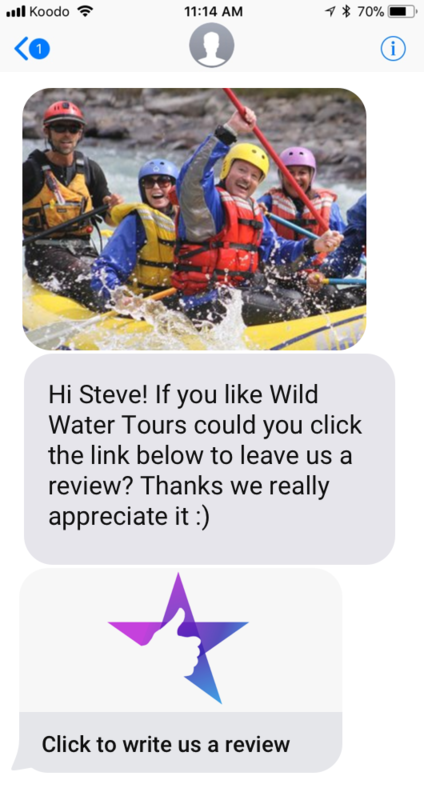 Automatically send SMS or email review invites to your customers shortly after purchase. Transform your reviews into customer stories. Customer stories are the most powerful marketing content you have. 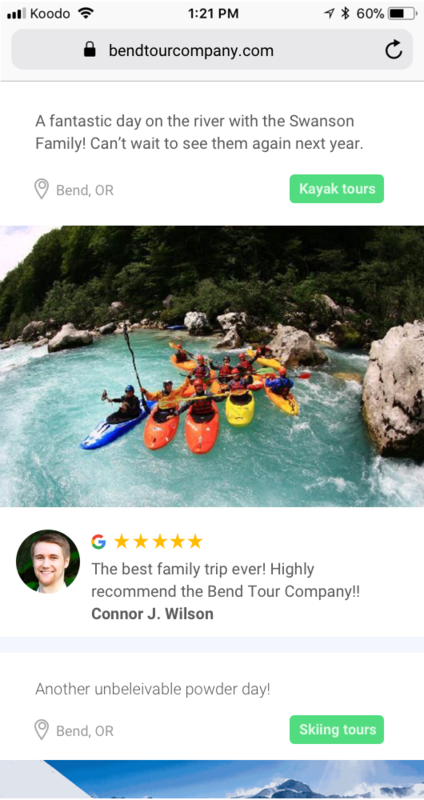 Add photos to any review invite or existing review. Photos build trust, and greatly increase the influence of your customer story. We help your stories get seen by more people. NiceJob automates your social media marketing using your customer stories. We'll share your best stories to Facebook, Twitter, and Linkedin so you can spend your evenings with your family, not Facebook. Publish your stories to your website. Stories improve your search engine results, and website conversion rate. 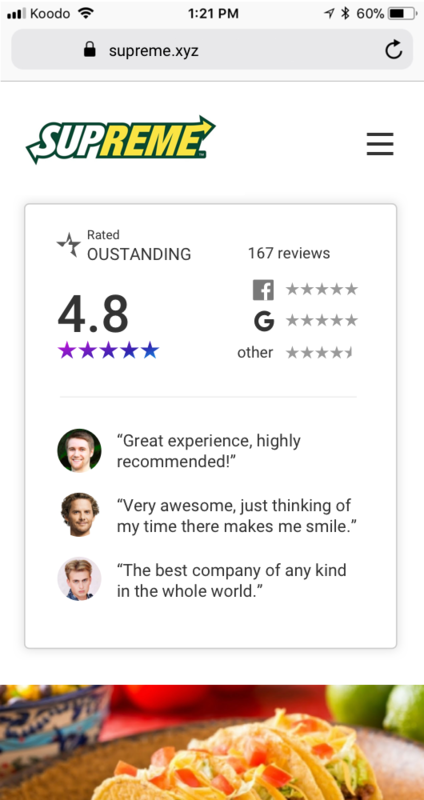 Show off your reputation with how many reviews you've received on major review sites. Easily add a portfolio page, review feed or case study page to your website with the stories widget. We create a microsite for your company to help more people see your stories and reviews. "In one month we increased our reviews by 50%"